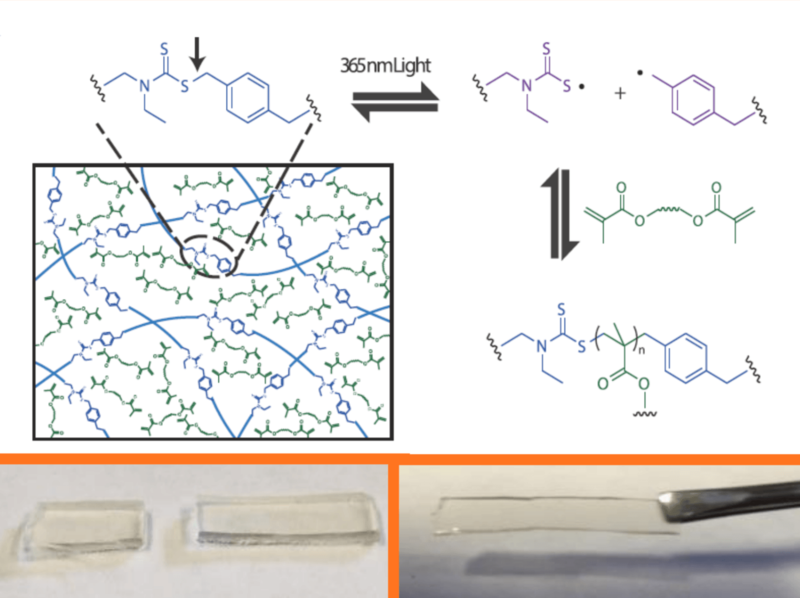 Photopolymerizations are versatile tools that can be applied to a wide range of applications from photopatterning to site specific functionalization of polymer films. Ionic liquids have found many uses in the fields of energy conversion and separation. 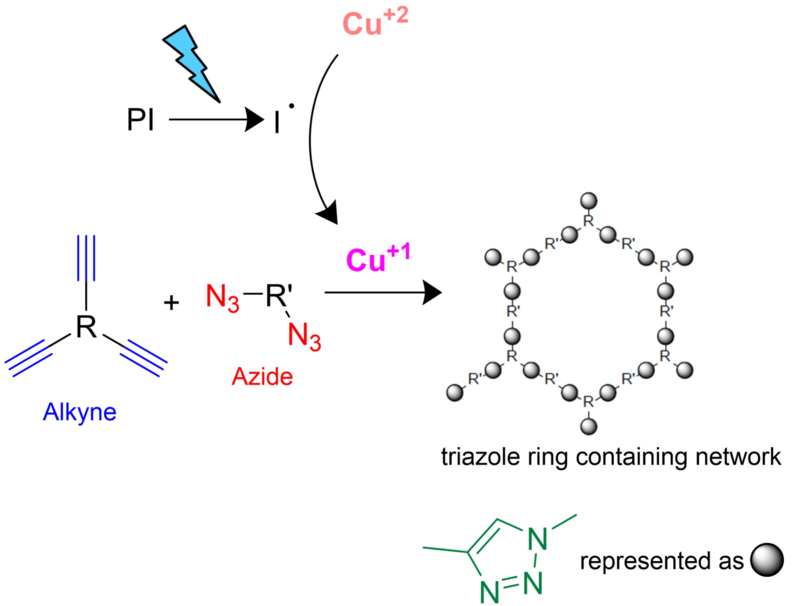 Our library of allylic ionic compounds with varying counterions helps us understand the reactivity-structure-property relationships for the design of thiol-ene polymeric ionic liquids. 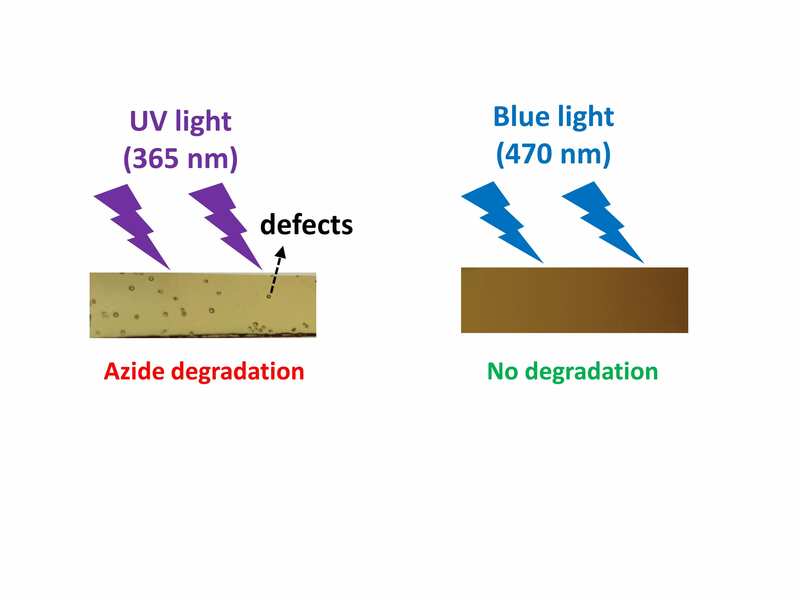 This photoinitiated fabrication process utilizes monomers, both ionic and nonionic, for rapid kinetics and ‘bottom-up’ design of network properties. The ability to perform a secondary polymerization on a polymer network allows for the development of a more dynamic material system. These systems can exhibit strengthening through the use of interpenetrating networks, self-healing mechanisms, site-specific functionalization, and modifications or surface wrinkling. 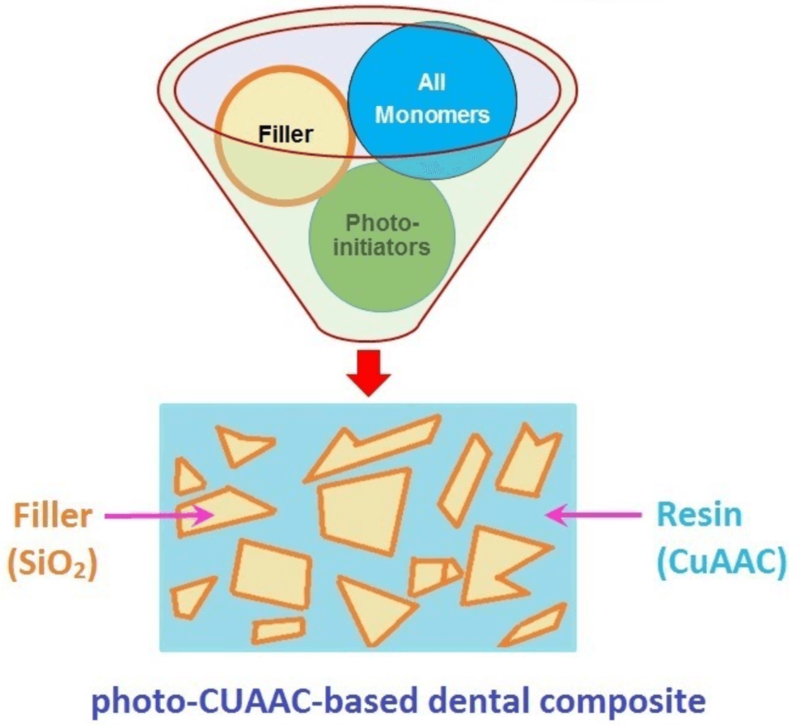 The photoinitiated copper(I)-catalyzed azide-alkyne cycloaddition (CuAAC) reaction based dental restorative composites exhibit several advantages over the currently used methacrylate chemistry. The key features include high functional group conversions with no residual leachables, enhanced toughness, and low shrinkage stress due to the step-growth polymerization mechanism. IPN enable integration of various chemical functionalities, properties, and crosslinking chemistries from two or more networks to enhance the material performance. 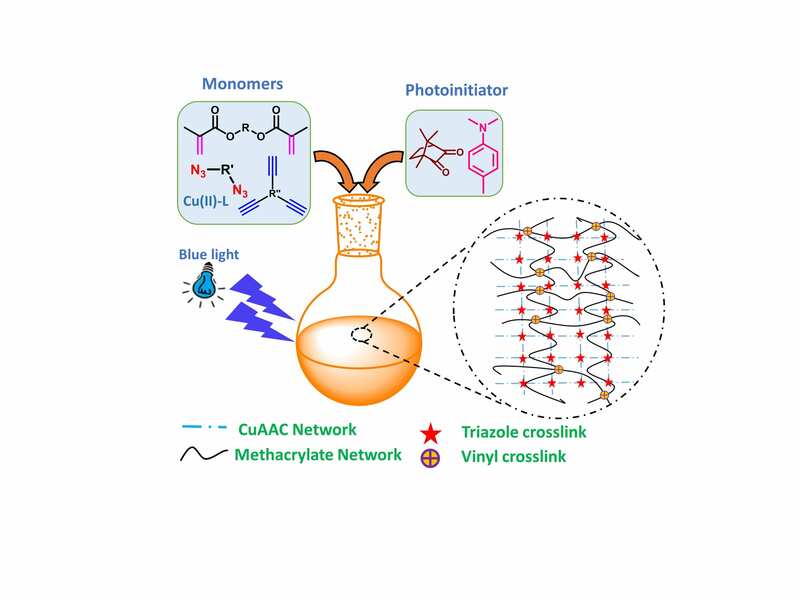 A one-pot blue-light triggered scheme generates a tough IPN from CuAAC and methacrylate reactions. 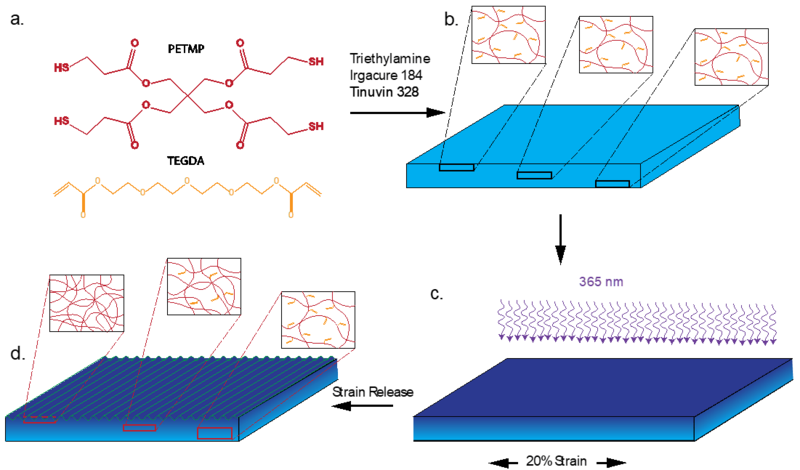 The glassy IPN withstand high strain before failure and exhibit shape memory attributes with readily tunable mechanical properties at elevated temperature.